People who like nuclear sludge. Indeed, lately it can seem like we’ve lost even more ground. Until recently, the United States planned to store its nuclear waste at Yucca Mountain in Nevada for thousands of years until it cooled and decayed down to safe levels. But Nevadans had fought against the plan from the start, raising concerns about earthquakes and the possibility that waste could seep into the groundwater. Even after 27 years of work and more than $13 billion in funding, Yucca had been bogged down in lawsuits and wasn’t opening until at least 2020—if not later. Then the final blow came: Nevadan Harry Reid became Senate majority leader in 2007 and, two years later, President Obama decided to squelch funding for Yucca. Even if Reid loses his Senate seat this fall, many experts think it’s unlikely the project will be revived. For the time being, the demise of Yucca isn’t a crisis. Nuclear utilities can continue to store their high-level waste onsite—at more than 80 locations around the country. The spent fuel is cooled in pools of water for several years and then placed in metal-and-concrete casks. In theory, this waste can be kept safe at these facilities for at least the next 90 years. But that still leaves a few dilemmas. All that waste will need at least 10,000 years to decay before it is safe, so, ultimately, we’ll have to devise a longer-term solution. And, because the Obama administration is now proposing $54 billion in loan guarantees for the first new batch of reactors since the 1970s, the problem may become even more pressing. If nuclear power makes a comeback, then managing hundreds of different temporary storage sites could become a logistical—and political—nightmare. So if not Yucca, then what? It’s easy to gripe about nimbys, but Ewing points out that nimbys are a fact of life—many people get freaked out by nuclear waste, and that’s just that. Other countries, however, have handled the problem more adroitly. Back in the 1980s, the Swedish government drew up a long list of locations that could potentially host a waste repository. Each town was given a chance to veto, and, after two decades and countless hours of local consultation, Sweden had two finalists that actually competed for the chance to host the site and reap the economic benefits. (One was picked last June.) Both towns, not surprisingly, already had nuclear plants in the area, and polls showed support running as high as 83 percent. Granted, there are reasons why this process might not go as smoothly in the United States. As Michael Greenberg of Rutgers points out, public opinion on nuclear waste follows an odd pattern. People living near potential sites are often quite supportive (not least because they tend to have friends and family working in local nuclear facilities). But, as you move slightly farther away, opposition grows. So, even if a local community wants a nuclear dump, the state government may veto the idea. Still, there’s at least one potential model. 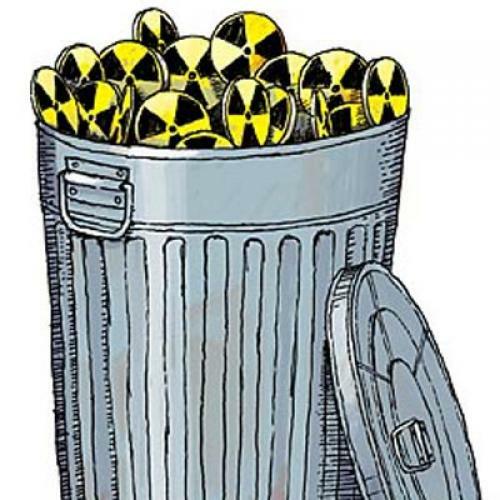 Currently, the only long-term nuclear-waste facility in the United States is the Waste Isolation Pilot Plant in Carlsbad, New Mexico, which opened in 1999 and handles the radioactive leftovers from U.S. defense facilities. As Roger Nelson of the Energy Department’s Carlsbad office explains, the site was most heavily promoted by local residents, who were worried about the area’s economy once its potash mines ran out. Eventually, they managed to convince wary state legislators in New Mexico to drop their opposition. That points the way to a potential compromise, recently floated by Charles Powers and David Kosson, two engineering professors at Vanderbilt. They propose that the country’s nuclear waste be consolidated at four interim facilities around the country, each picked via a Sweden-esque process. There, the waste could sit for 90 years or so, giving it time to decay and cool—which would make long-term storage a bit easier. And, in the meantime, the country would have decades to figure out its next steps. That might entail finding a new long-term geological repository. Or maybe we’d decide to reprocess the spent uranium to produce yet more nuclear fuel, the way France does. Or perhaps someone will invent an ingenious, high-tech way of dealing with all that waste. Bill Gates has recently been touting a prototype “traveling-wave” reactor that would eat spent fuel rods and generate electricity. Nevada Senator John Ensign has long pushed a sci-fi method known as accelerator-driven transmutation of waste, in which proton beams are fired at the leftover radioactive material to reduce its half-life. The Department of Energy has been tinkering with microbes that break down contaminants in groundwater. The only trouble is, right now there are too few people working on these clever schemes; because the industry has stagnated for so long, nuclear energy doesn’t tend to attract as much research interest these days. “I think of the bright folks I know teaching in engineering departments, and few are working on nuclear power,” explains Freudenburg. That’s especially true of waste, where the sudden shutdown of Yucca may have scared away the next generation of researchers. After all, how many budding Ph.D.s want to go work on a project that may get scotched by Congress in ten years? That makes getting the politics right crucial. Otherwise, we can look forward to another 30 years of provocative panel discussions.